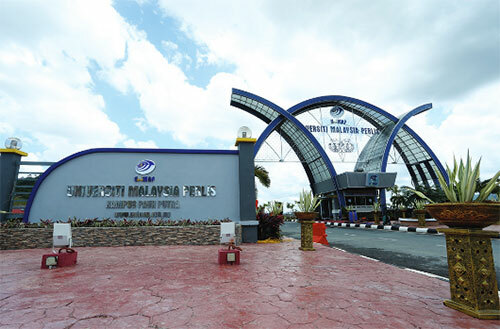 Universiti Malaysia Perlis (UniMAP) is Malaysia’s 17th public institution of higher learning. It was approved by the Malaysian Cabinet on May 2001. The first intake consisted of 116 engineering students who started classes in June 2002. Currently, UniMAP has approximately 6,000 students and a workforce of more than 1,700 academic and non-academic staff members. UniMAP graduates are nurtured to become competent practitioners in their area of specialisation and have the confidence to explore entrepreneurial possibilities upon graduation. They are expected to not only exhibit excellence in the knowledge and skills that are directly related to their specialised fields of study, but also to demonstrate outstanding proficiency in both communication and ICT skills. UniMAP aims to be in the list of the top 150 universities in Asia. Currently, the university is ranked 242 in the QS Asian University Rankings. In the new rating system known as the Discipline-Based Rating System (D-SETARA) implemented by the Malaysian Qualifications Agency (MQA), UniMAP was awarded with Tier 5 rating for Engineering, where Tier 1 is rated ‘weak’ and Tier 6 is ‘outstanding’. To produce a holistic human capital that contributes to the nation’s development and industrial competitiveness agenda. UniMAP offers 21 undergraduate programmes that lead to a Bachelor in Engineering, a bachelor degree programme in Engineering Technology, and two undergraduate programmes that lead to a Bachelor in Business. We also offer six Diploma in Engineering programmes and 13 postgraduate programmes that lead to Master of Science in Engineering and PhD degrees. Most of the engineering programmes at UniMAP have an electronic-based focus. However, both basic and applied studies in other fields of engineering and technology that support the advancement of engineering are also actively pursued here. In addition, International Business, Engineering Entrepreneurship and an MBA in Engineering Management are also offered. The International Business programme is designed to produce global-business leaders who are able to function and compete effectively in the globalised market place. The Engineering Entrepreneurship programme aims to equip today’s generation of ‘technopreneurs’ with an excellent entrepreneurial knowledge on managing industrial and technology-based businesses, whilst the MBA in Engineering Management is designed to produce competent managers for the engineering and technology sectors. All our academic programmes (both undergraduate as well as postgraduate levels) implement UniMAP’s brand of Outcome-Based Education (OBE) system that supports our teaching and learning process. We are also implementing the Student Centered Learning (SCL) method in our programmes with a focus on Problem Based Learning (PBL). In the process of applying these methods, we continue to introduce new improvements along the way. I don’t think it is my thing” was my answer a couple of years ago when people were asking me if I would ever be an exchange student. I am not quite sure what happened after that, but I guess I just got bored being surrounded by familiar things and wanted to see new things and different kinds of culture. And in Malaysia and in UniMAP, I certainly got what I asked for. Being one of the two first exchange students had its good and bad sides. Many times you feel like a famous pop star, because almost everybody knows who you are and smiles and says hello and seems to know what you have been doing even if you have never met them before. Lots of people in UniMAP are very interested about other cultures and are keen to practice their English. But sometimes you wish that you could just blend in with the crowd and not be the orang putih who is always noticed. In universities where is lots of exchange students, the students usually hang around with each other and not with the locals that much. For them there is also some special programme arranged to learn about the culture and the country, but here all that relied on my own activity. One of my aims here was to travel as much as possible, and almost every weekend I went somewhere. I have spent a couple of nights in a jungle, seen wild orangutans, ridden an elephant, explored caves, been snorkeling in bright blue waters, kayaked in the middle of limestone islands and done lots of other things which I will always remember. During my stay here I have been through all kinds of emotions from frustrations to happy moments. I missed a lot of things from Finland when I stayed here, but I am sure that when I am back there, freezing in the -20 temperature and not seeing sun no more than four hours each day, I will miss lots of things and many people from Malaysia. What I liked most about my exchange programme was the possibility to travel all around Malaysia and nearby countries as well. I didn’t have any previous traveling experience even in Finland, but I quickly learned how to travel using the express bus system, it was easy to get anywhere from Kangar bus station. One of the reasons I wanted to come to Malaysia was diving, and I had some quite amazing diving experiences there. This was a once in a lifetime experience, and now I feel a lot more confident in intercultural communication and traveling abroad. I made many friends and all the students were friendly and helpful.